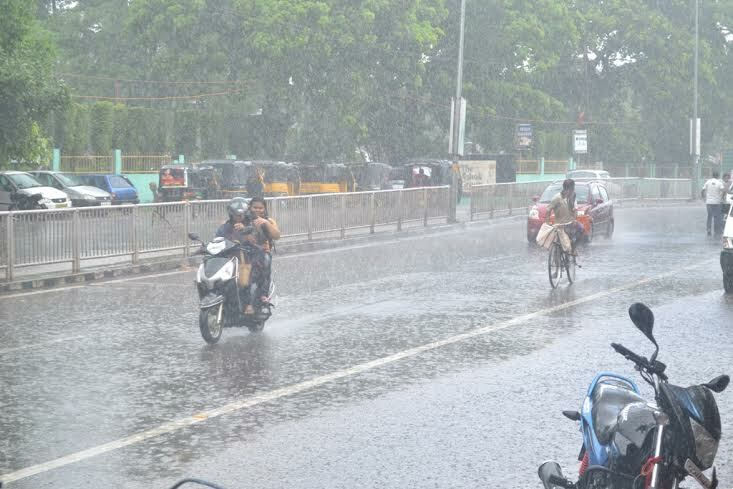 ONI Bureau: The Regional Meteorological Centre, Bhubaneswar on Friday forecast heavy to very heavy rainfall in the interior pockets of the State in next 24 hours. Under the impact of depression over northwest Bay of Bengal and north coastal Odisha that intensified into a deep depression, normal life thrown out of gear following incessant rain in the past 48 hours. Five districts of Odisha have recorded average rainfall more than 100 mm. The districts are Kendrapara – 271.7 mm, Jagatsinghpur- 236.1 mm, Jajpur- 137.0 mm, Cuttack- 113.5. and Bhadrak- 105.7 mm respectively. All schools in Bhubaneswar, Cuttack, Kendrapara and Sundergarh districts closed today due to incessant rains.